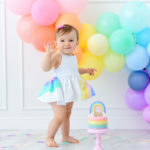 Rainbow Baby Cake Smash Los Angeles - Los Angeles based photo studio, The Pod Photography, specializing in maternity, newborn, baby, first birthday cake smash and family pictures. Rainbows, rainbows, everywhere! 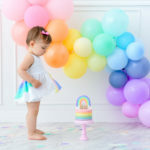 This first birthday party theme is all over the place! And why wouldn’t it be!? 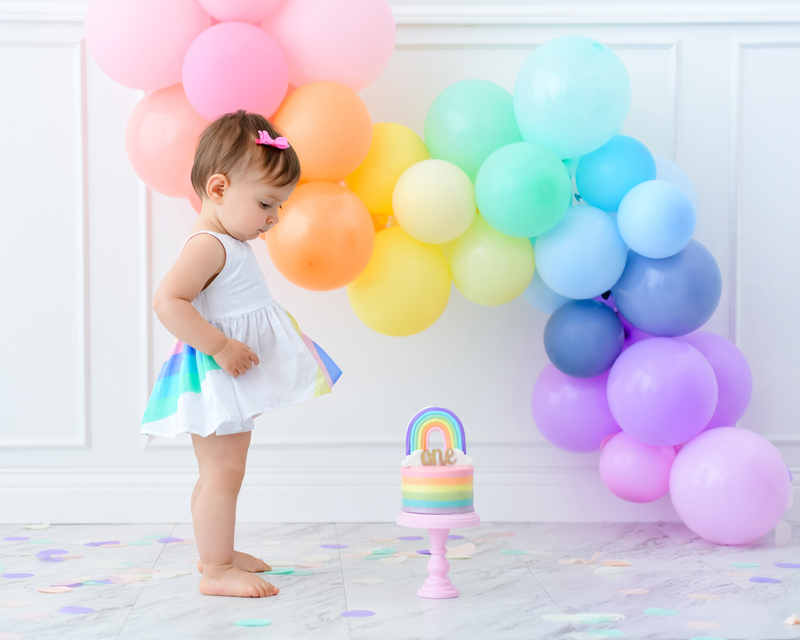 The vibrant colors of a rainbow baby cake smash Los Angeles are absolutely gorgeous and a perfect color scheme for a birthday party! 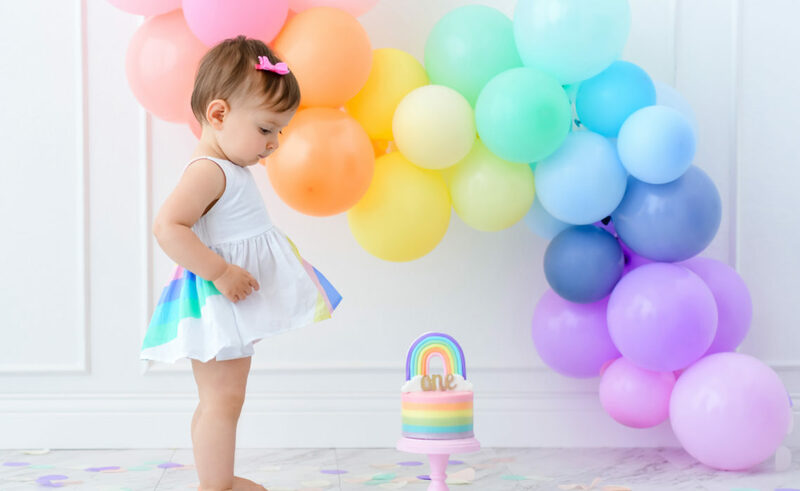 Plus, they go so perfectly with the other hot party themes such as unicorns and mermaids for girls, or airplanes and hot air balloons for boys. But you’re probably not just seeing rainbows for parties. 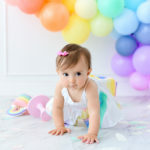 As you’ve been browsing images for newborn and maternity portraits, you’ve probably stumbled upon many rainbow photos! Why is this you ask? Now, more than ever, Rainbow Babies are being celebrated, and also talked about. 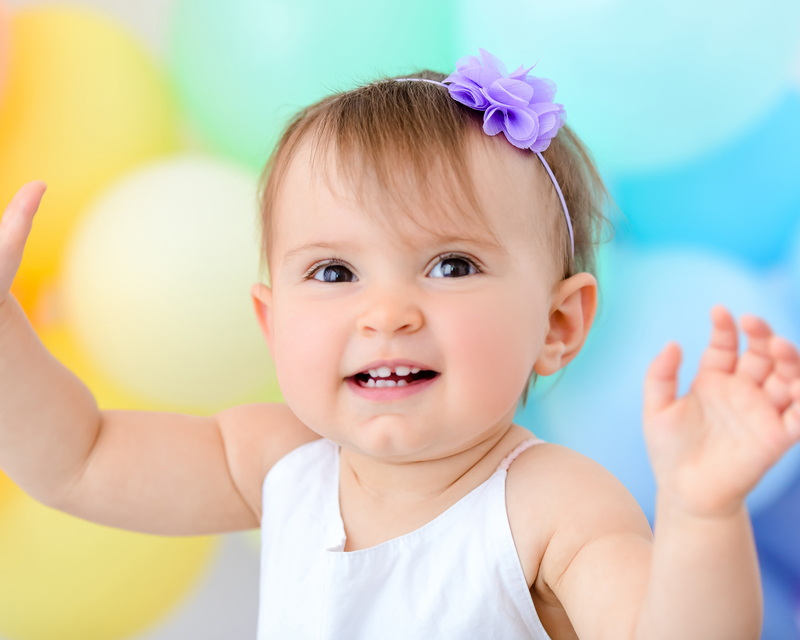 So, what is a Rainbow Baby? 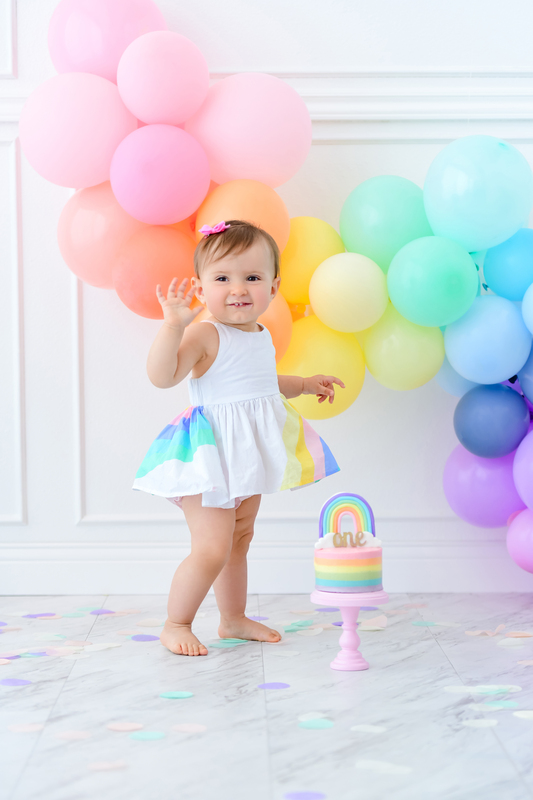 A Rainbow Baby is the name that’s been coined for a healthy baby born after a miscarriage, stillbirth or loss of an infant. 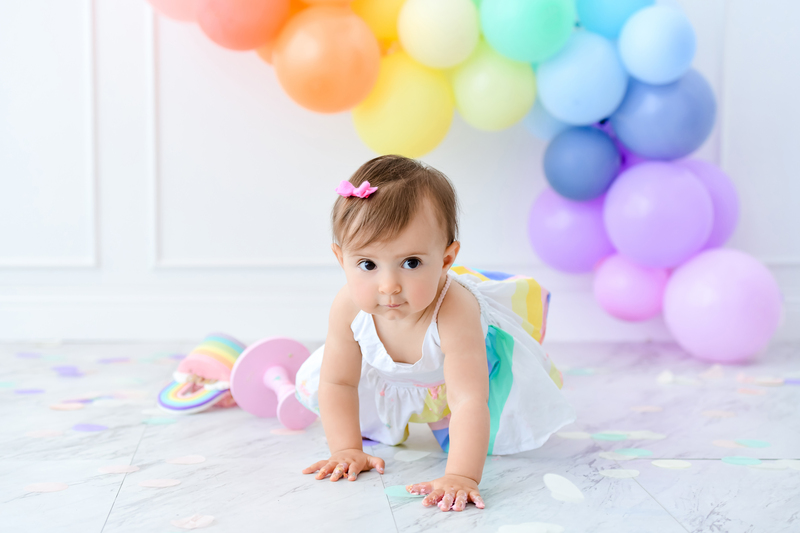 Just like a rainbow appears in the sky after a storm, the term “rainbow baby” symbolizes hope and healing. Though there is such grief and heartache with the loss of one child, there is such a celebration for the birth of the new baby. 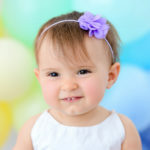 And for this little sweetie pictured below, her first birthday milestone was certainly something to celebrate. And talk about a little joy!! 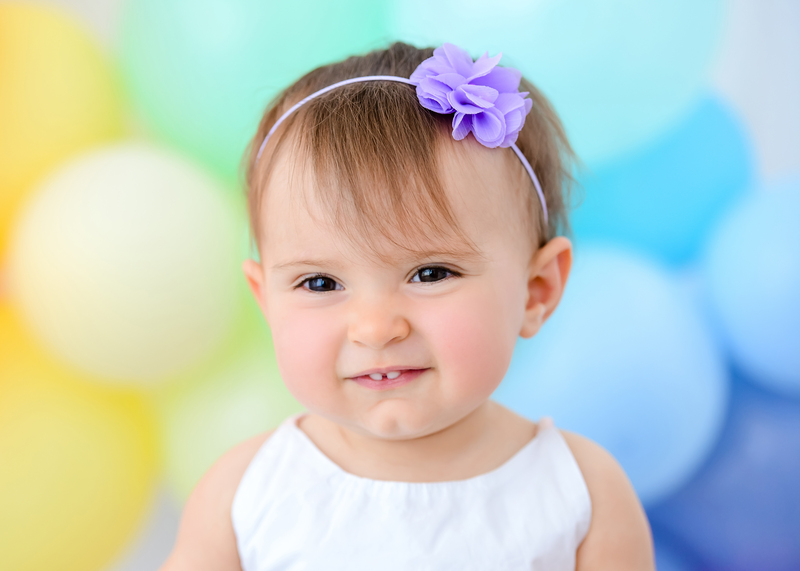 This sweet baby girl is such a joyful baby, and with the sweetest personality. 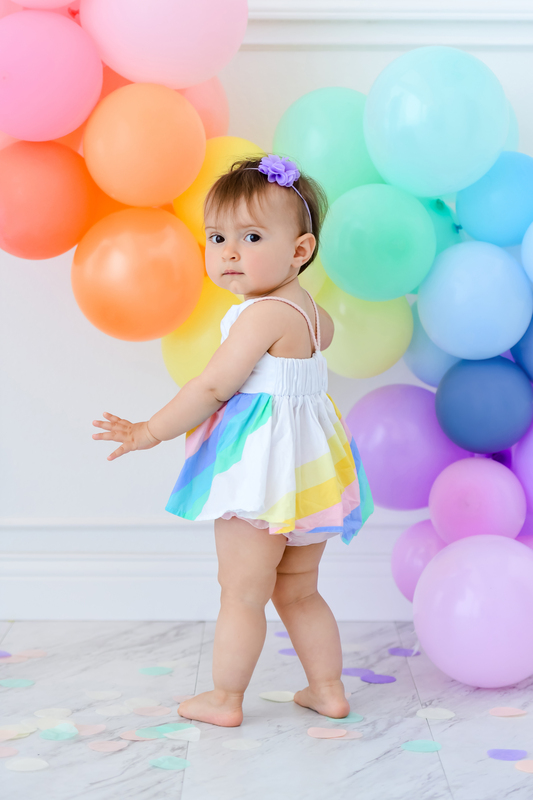 She was absolute perfection for her first birthday rainbow baby cake smash Los Angeles portrait session. We just fell in LOVE! Give us a call at 310-391-4500 to set up a consultation with your Los Angeles photographer. Be sure to follow us on our Blog, Facebook and Instagram to see what we’ve been up to, or explore our YouTube page for more!